For the fourth time in ten years, China, at Pakistan's behest, has stalled India's bid using its permanent UNSC member status. 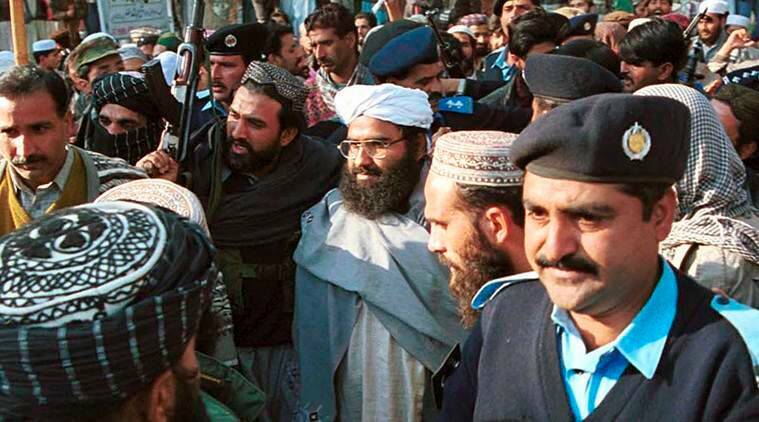 In a setback for New Delhi on Wednesday, China has once again placed a technical hold on a proposal in the UN Security Council (UNSC) to list Jaish-e-Mohammad (JeM) chief Masood Azhar as a global terrorist. For the fourth time in ten years, China, at Pakistan’s behest, has stalled India’s bid using its permanent UNSC member status. India had started pushing for Azhar’s listing since 2008-09, after the 26/11 Mumbai terror attacks. In 2009, the then UPA government provided China, one of the five permanent members of the UN Security Council (UNSC), detailed information about the JeM chief involvement in terror activities in India, with a hope that it would garner support from Beijing. But, China, citing ‘technical’ reasons chose not to support the ban. It further argued that it does not possess ‘sufficient information’ to list Azhar as a global terrorist. Following the Pathankot air base attack in 2016, New Delhi’s focus was back to get Azhar listed as a ‘global terrorist’. But yet again, China asserted that he was not qualified enough to be nailed as a “terrorist” to face UN sanctions as his case “did not meet” the Security Council’s requirements. “Any listing would have to meet the requirements for blacklisting”, the then Chinese Permanent Representative to the UN Liu Jieyi had said. Terming China’s move as ‘incomprehensible’, New Delhi had alleged that the UN sanctions committee was taking a “selective approach” in tackling terrorism. The then MEA spokesperson Vikas Swarup had in a press conference said that the move “has implications for the entire international community”. “The recent terror attack in Pathankot on January 2 has shown that India continues to bear the dangerous consequences of not listing Masood Azhar. Given the global networking of terrorist groups, this has implications for the entire international community,” Swarup had said. In 2017, citing a lack of consensus among the members of the Al-Qaeda Sanctions Committee of the UNSC, China blocked the JeM chief being listed as an international terrorist. Surprisingly, the move by China had come just months after it had agreed to name Jaish-e-Mohammad as a ‘terrorist group’ in a BRICS declaration. India, yet again, said the move was “deeply disappointing”, “short-sighted” and “counterproductive”. “We are deeply disappointed that once again, a single country has blocked international consensus on the designation of an acknowledged terrorist and leader of a UN-designated terrorist organisation, Masood Azhar. India strongly believes that double standards and selective approaches will only undermine the international community’s resolve to combat terrorism,” MEA spokesperson Raveesh Kumar had said.